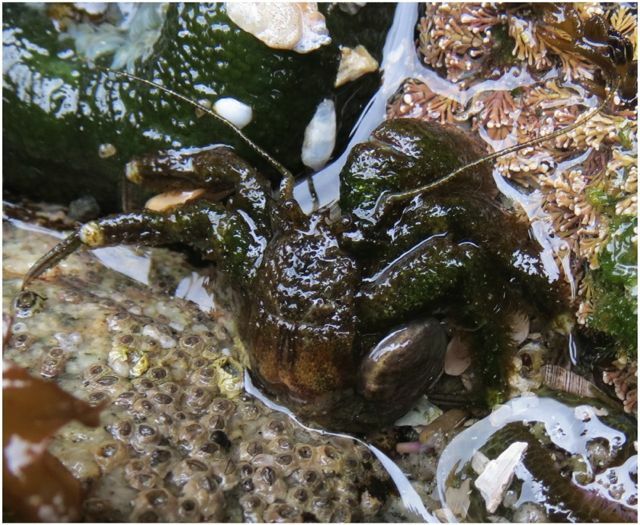 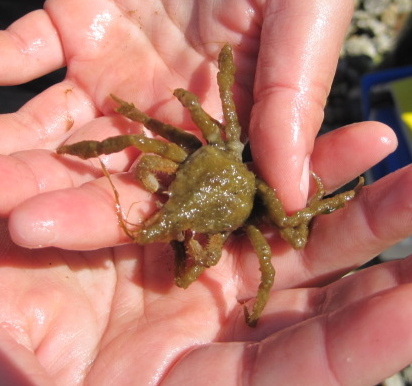 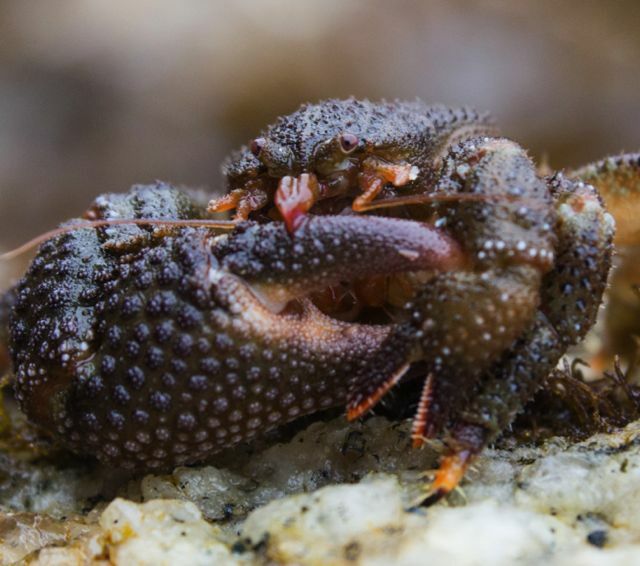 This group includes crabs, shrimp, hermit crabs, isopods, amphipods, and barnacles (and others). 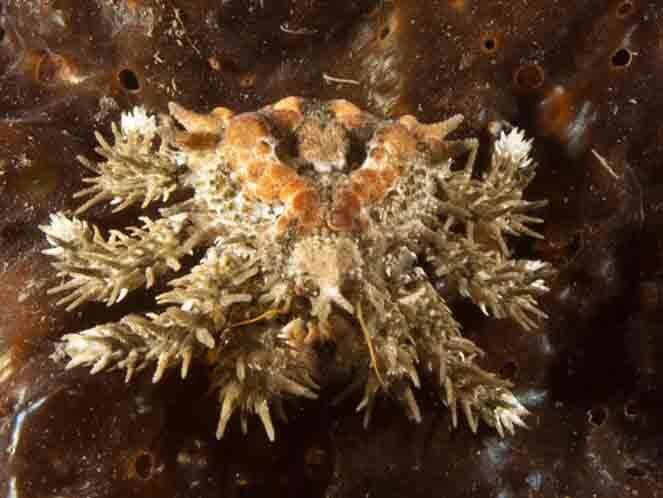 These animals have jointed, chitinous exoskeletons and segmented bodies, though segmentation may not always be obvious or visible. 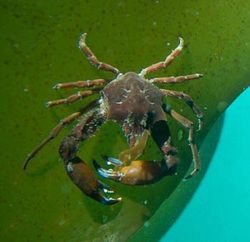 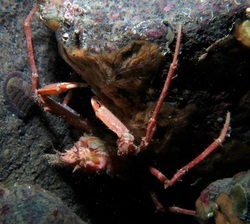 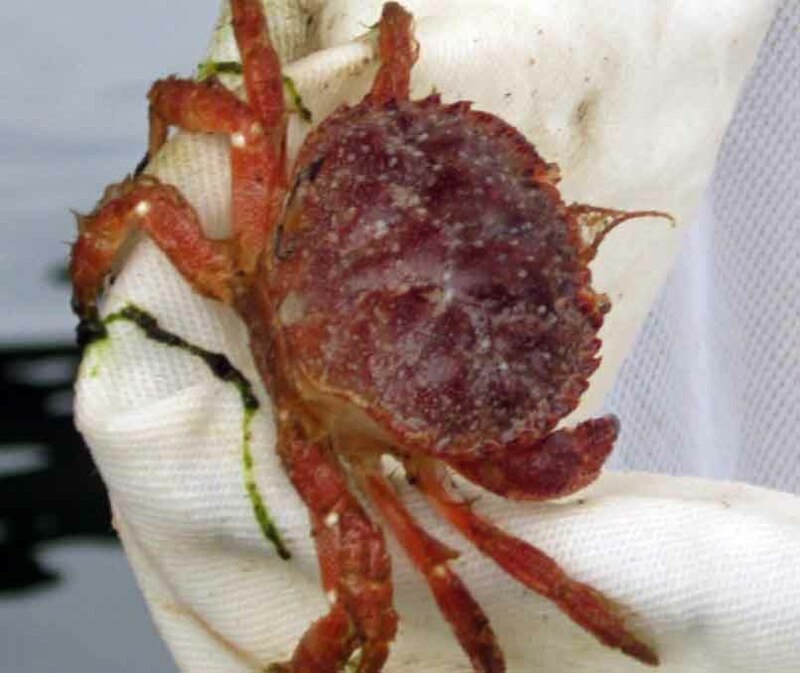 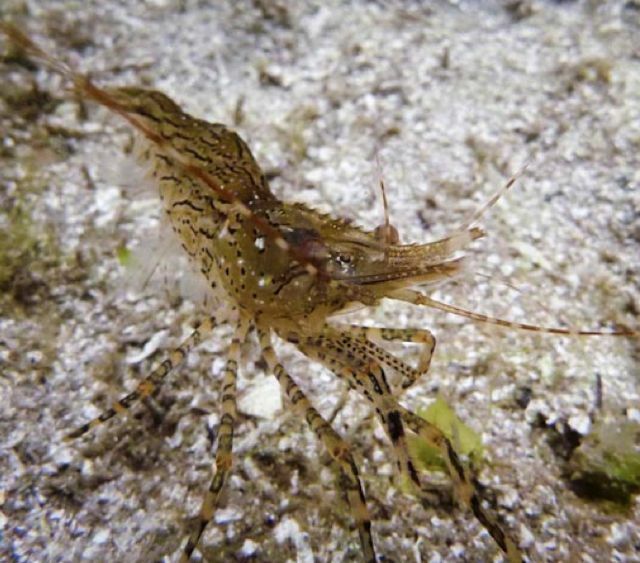 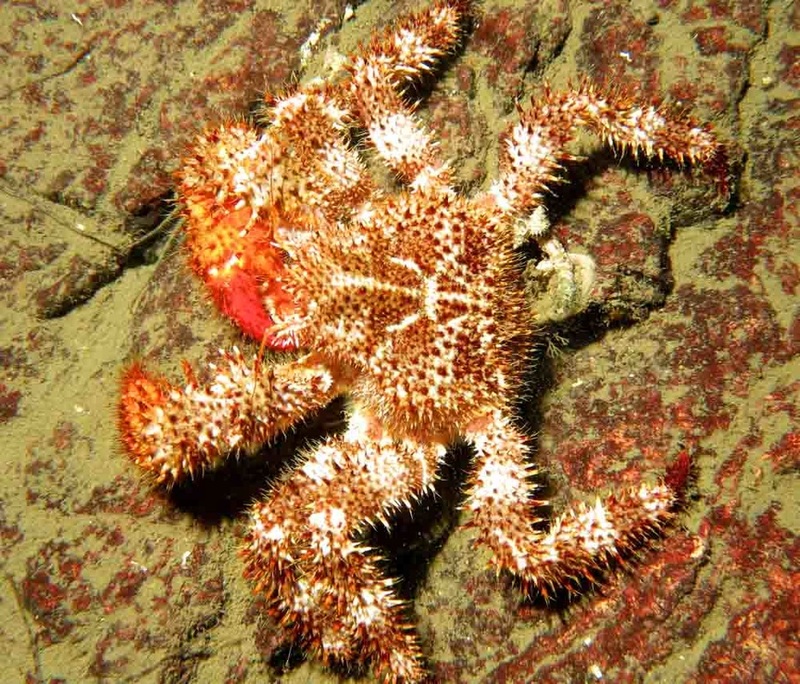 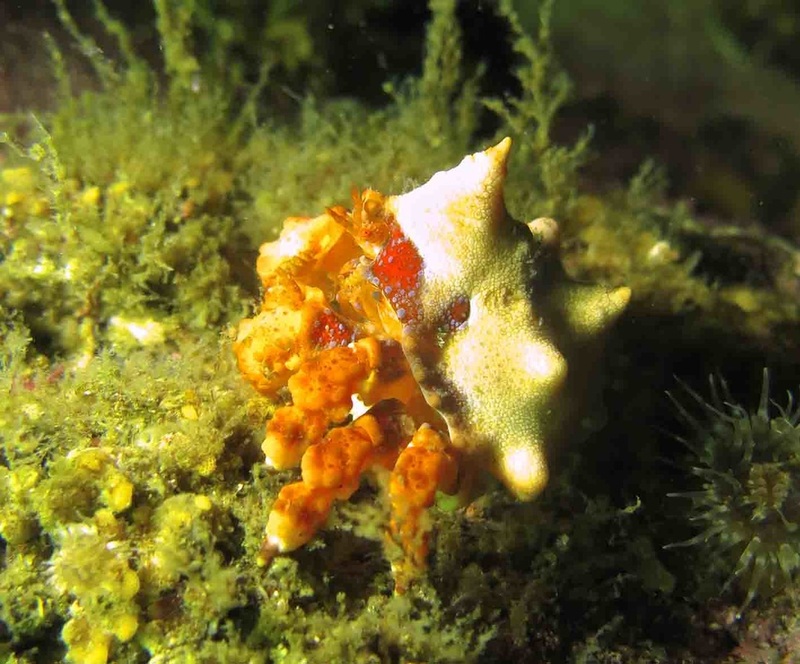 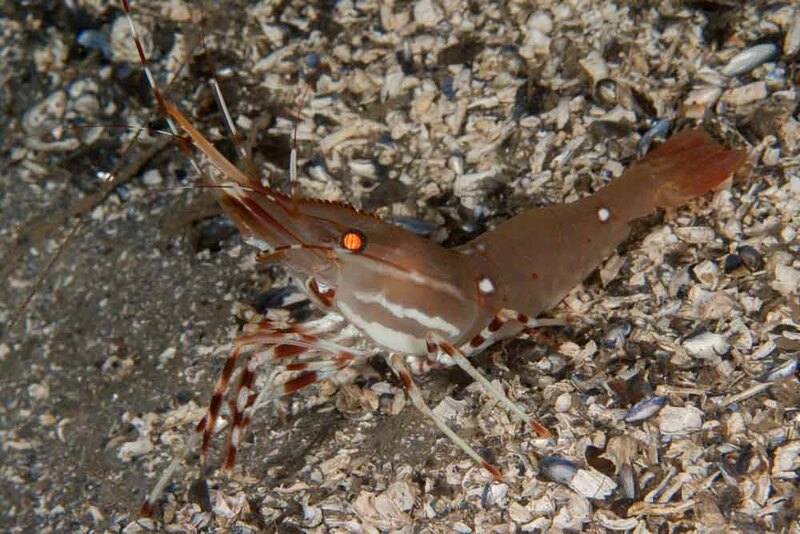 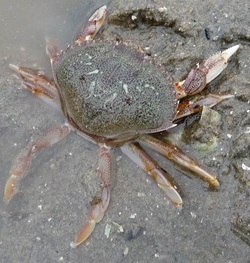 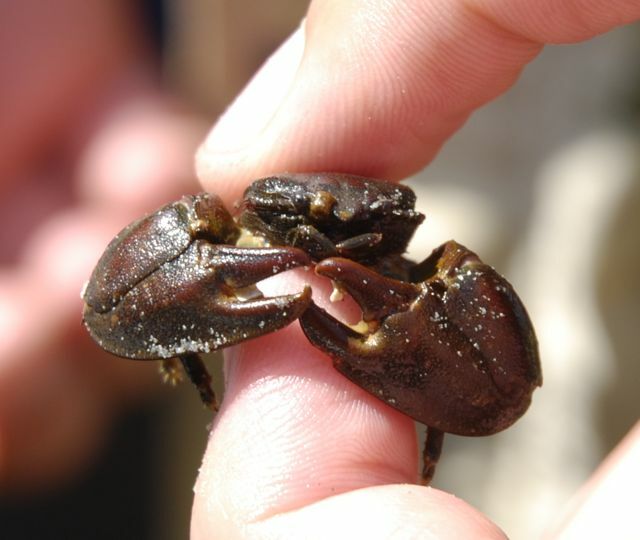 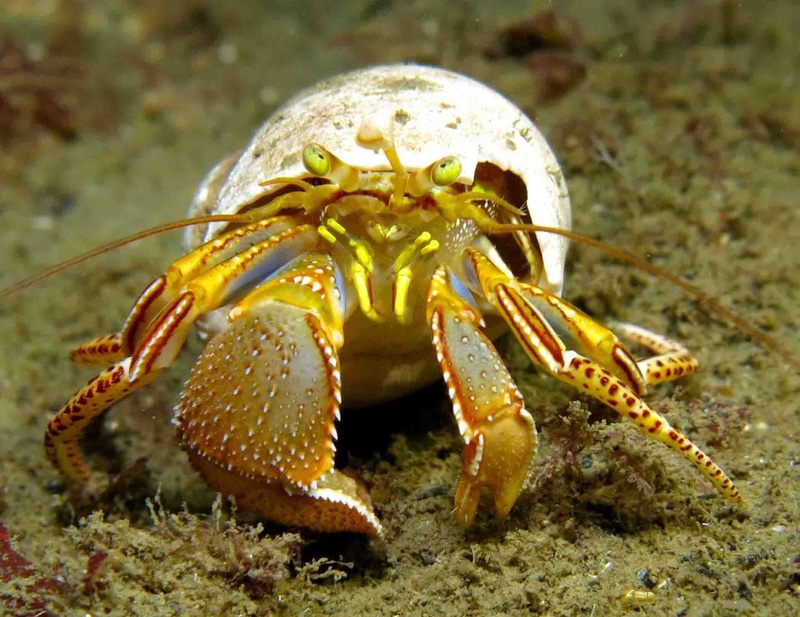 Click here to learn more about crustaceans. 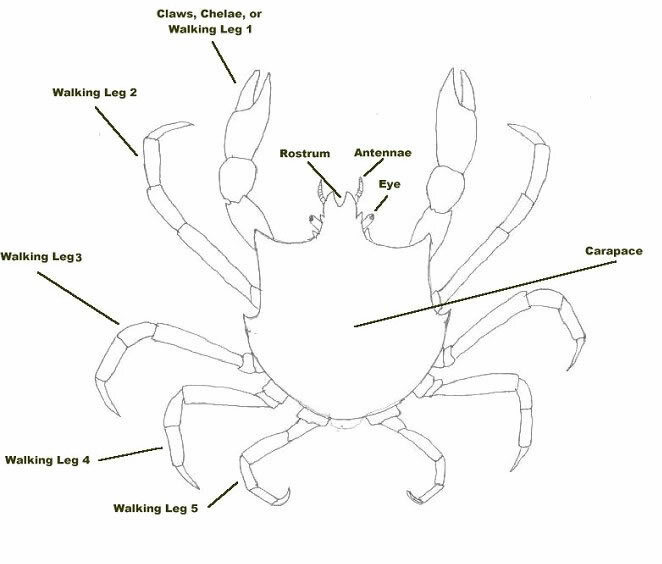 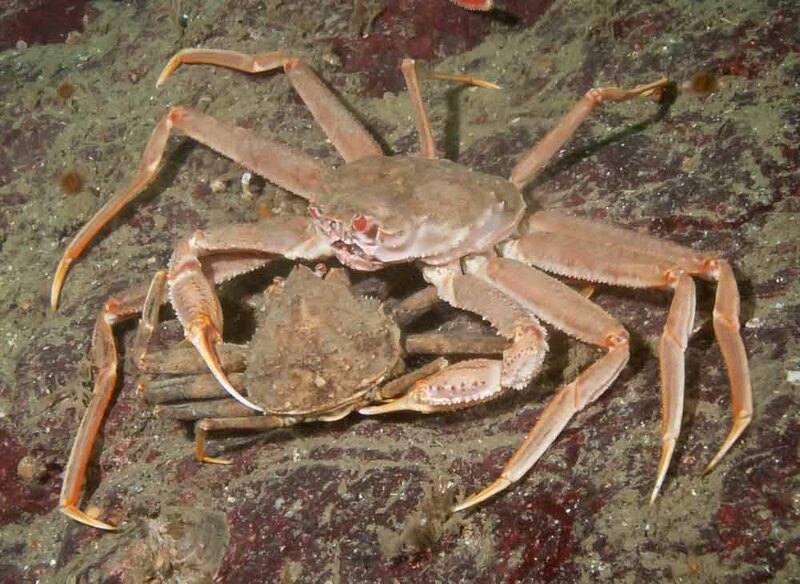 Grouped here are the true crabs (bracyurans) — distinguished by having five pairs of legs, two of which are modified into claws — as well as the porcelain and lithodid crabs (lithodes = rock-like). 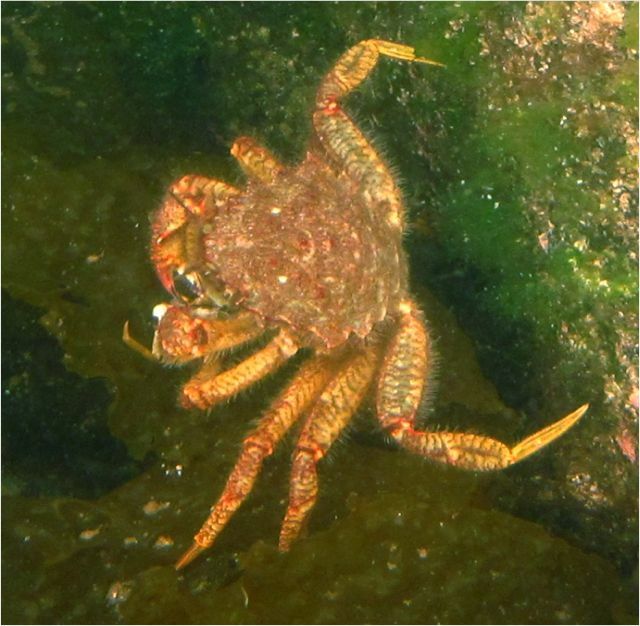 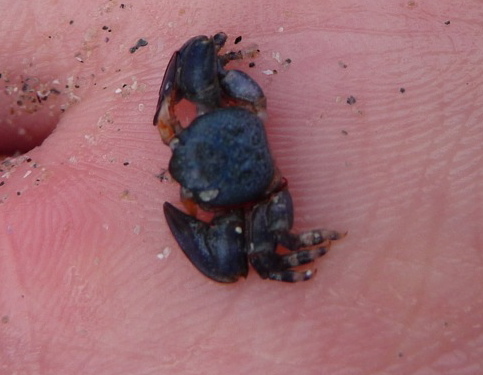 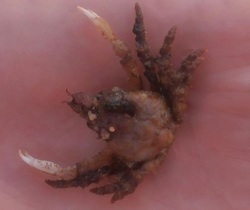 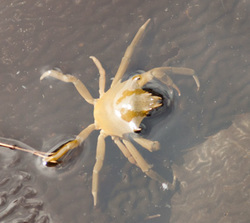 On these crabs the fifth pair of legs is reduced or absent. 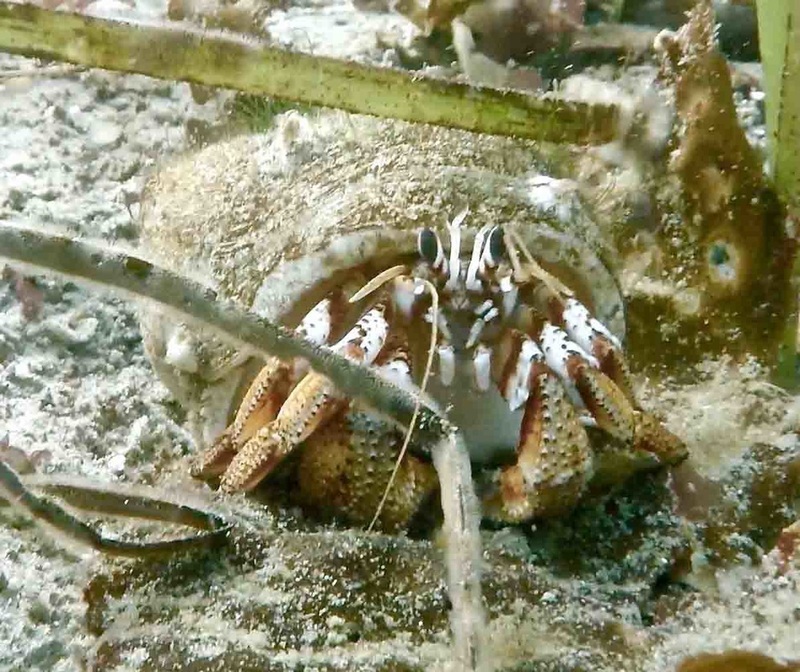 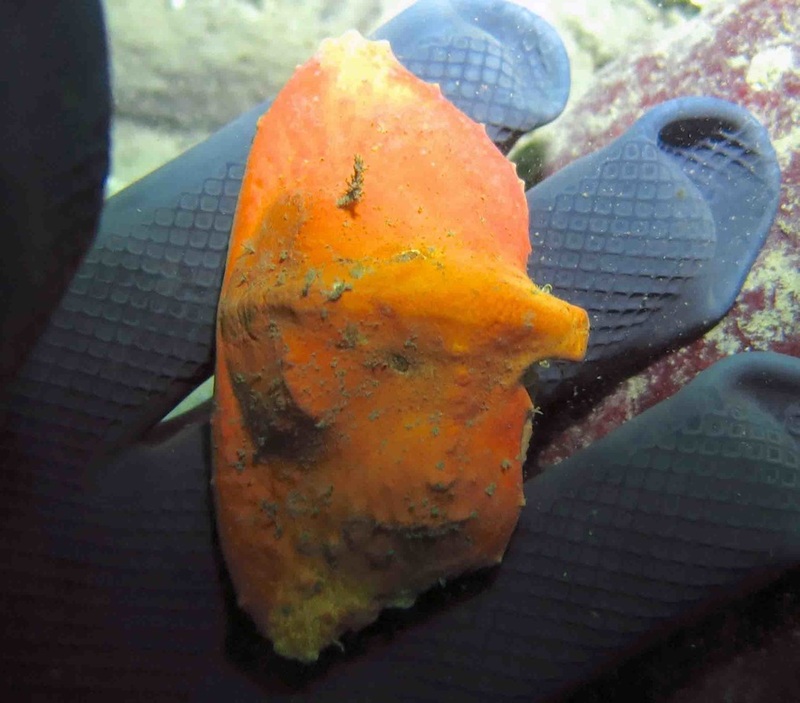 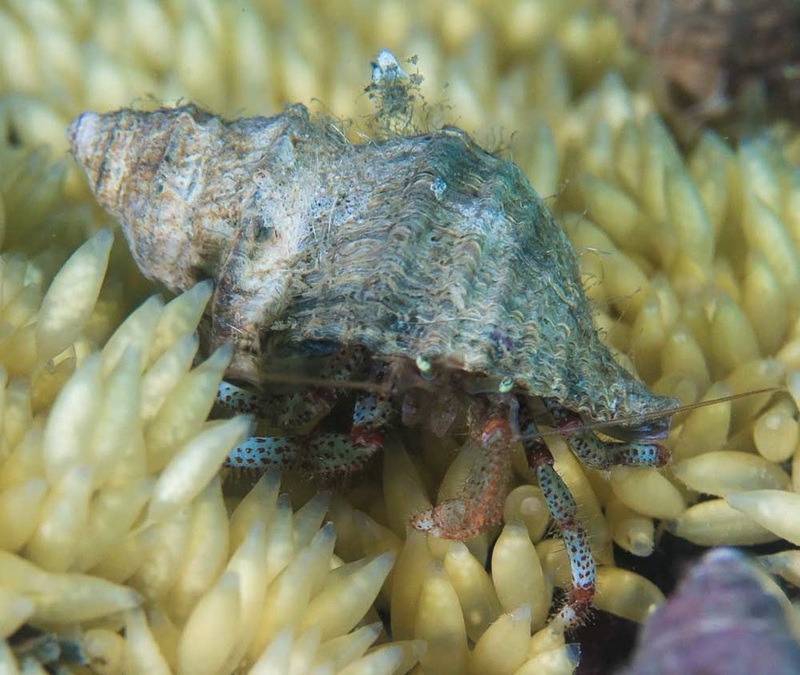 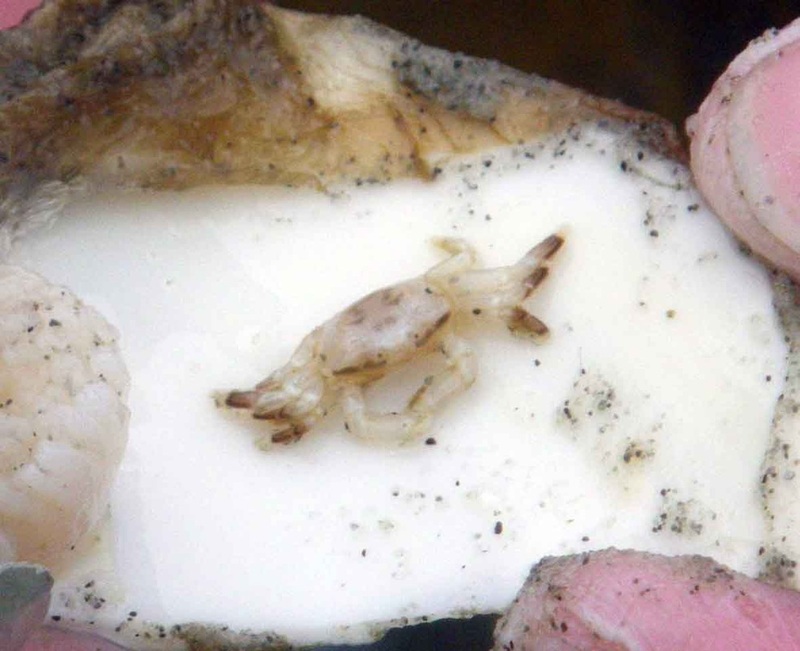 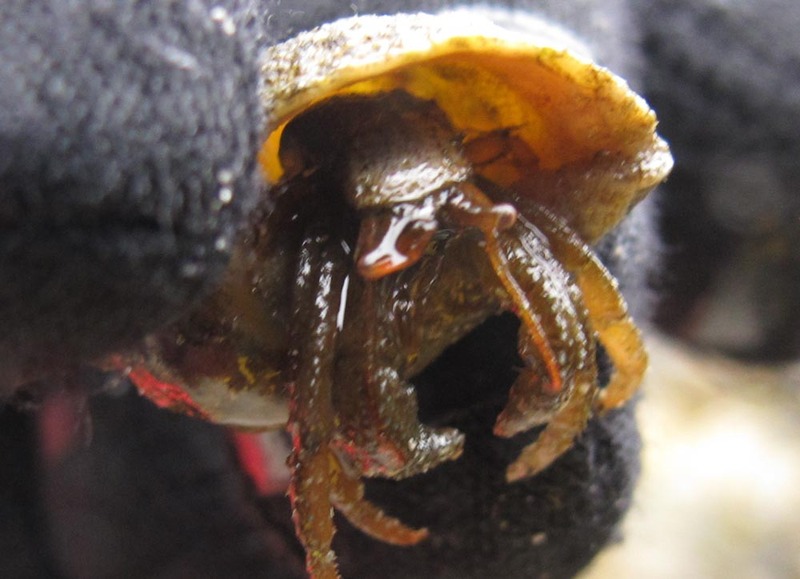 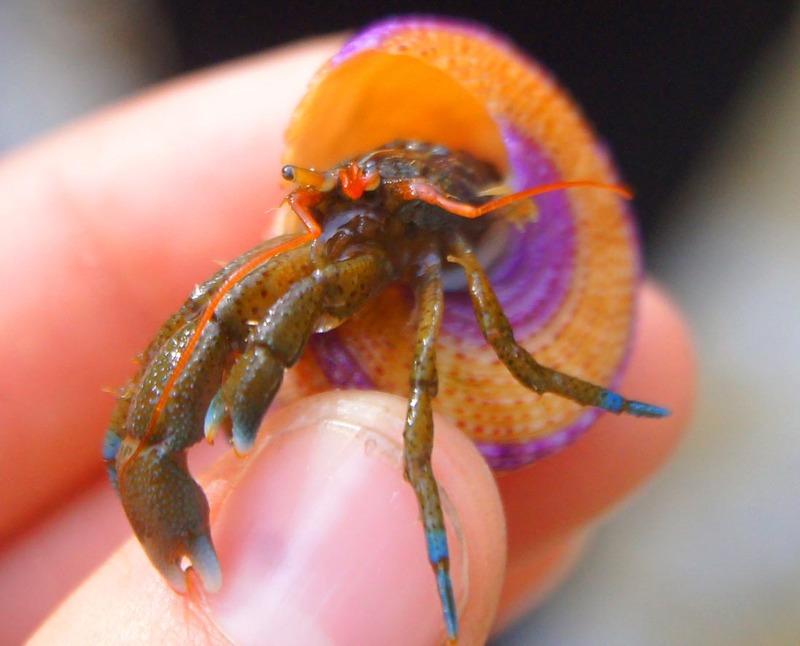 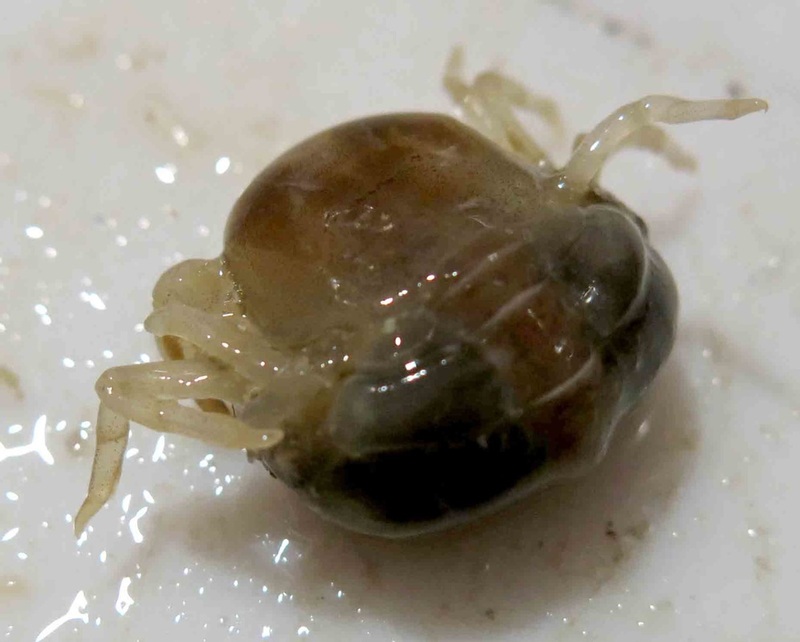 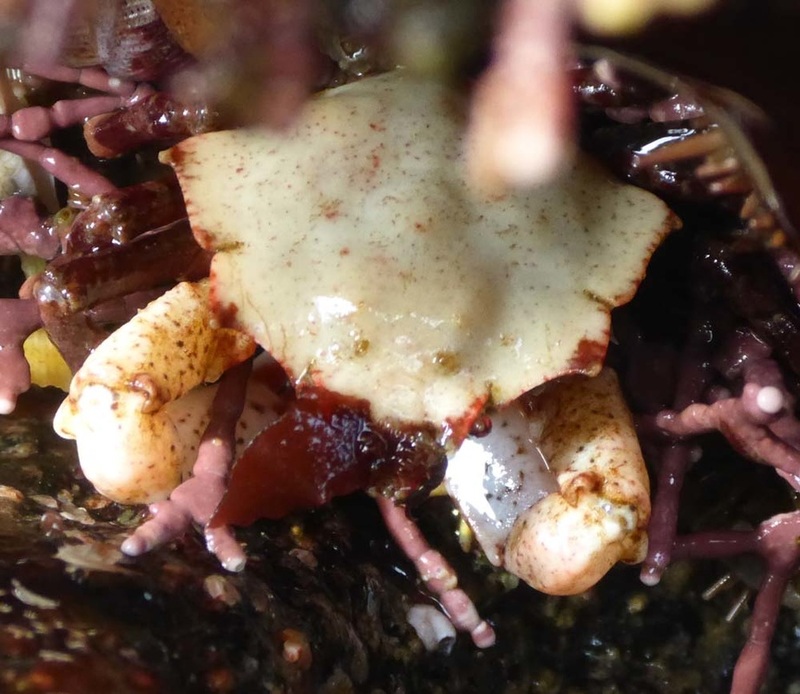 Hermit crabs, which are closely related to lithodid crabs, have a soft, elongated abdomen which they hide inside an empty sea snail shell or a similar hollow object — even one made by humans. 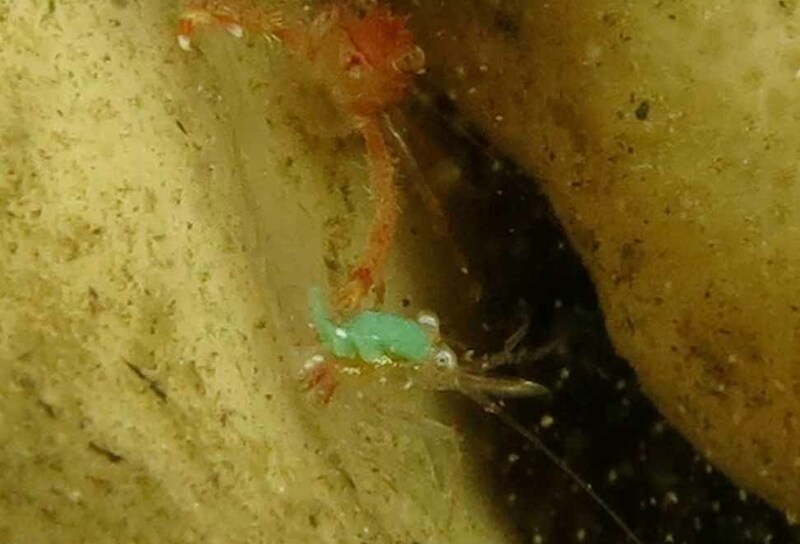 Grouped here are the shrimp, prawns, eualids, and others belonging to Infraorder Caridae, as well as the mud and ghost shrimp, which belong to Infraorder Thalassinidea. 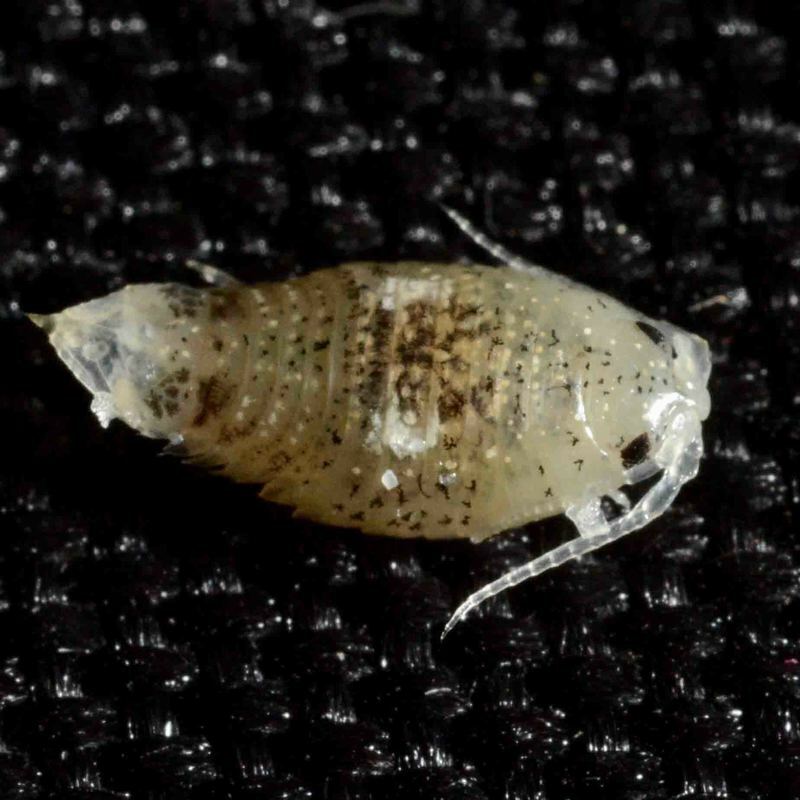 Isopods are dorso-ventrally compressed, meaning their bodies are fairly flat. 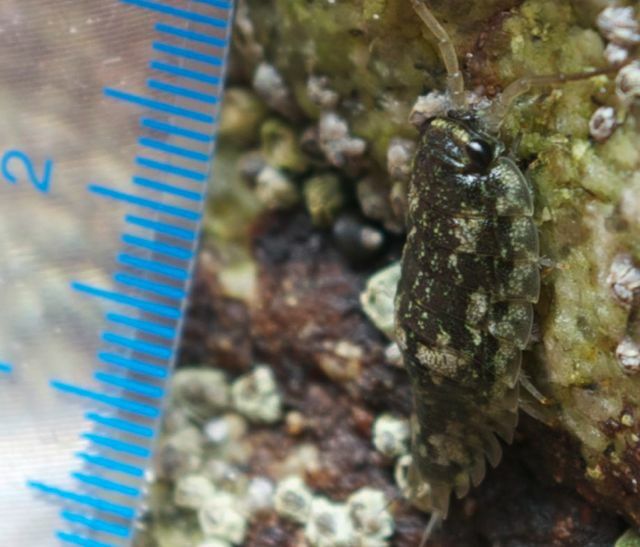 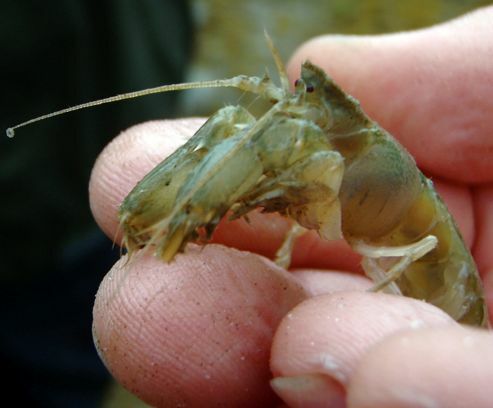 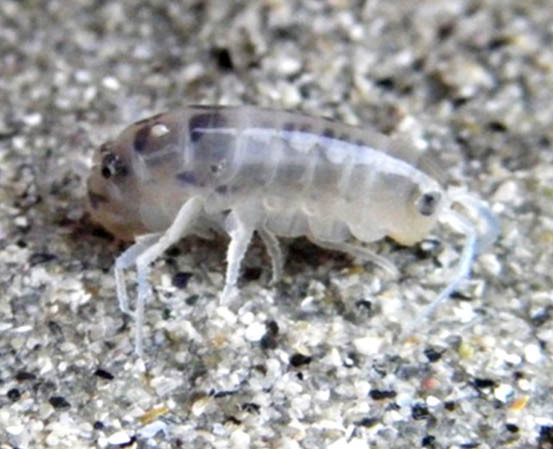 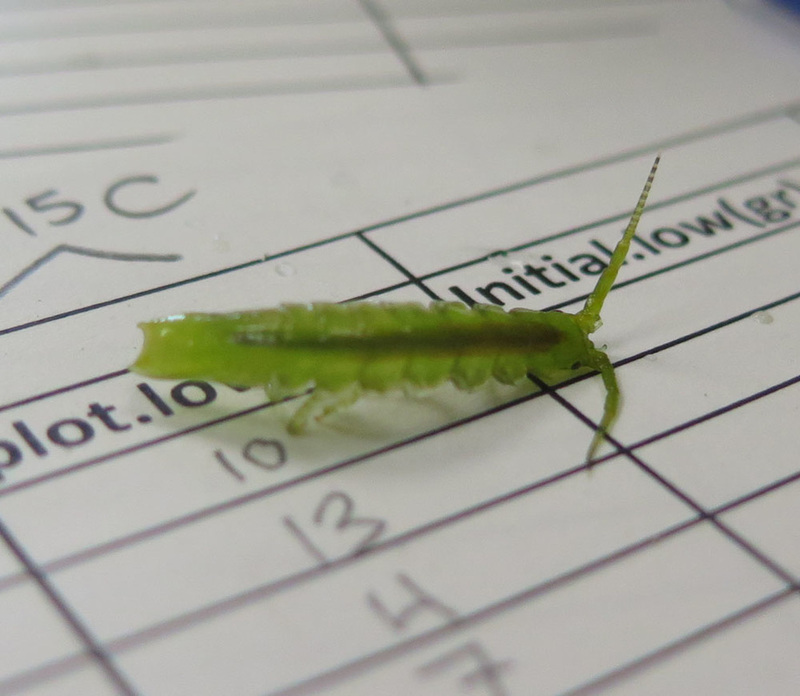 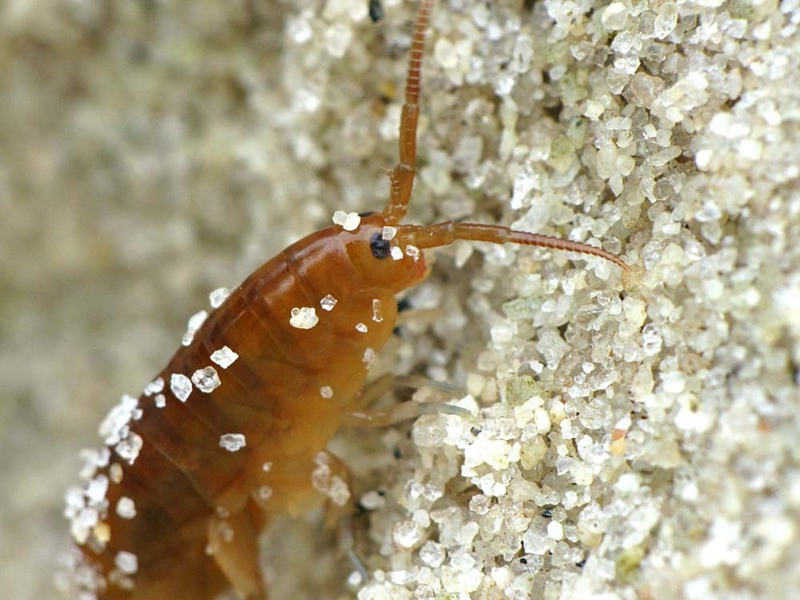 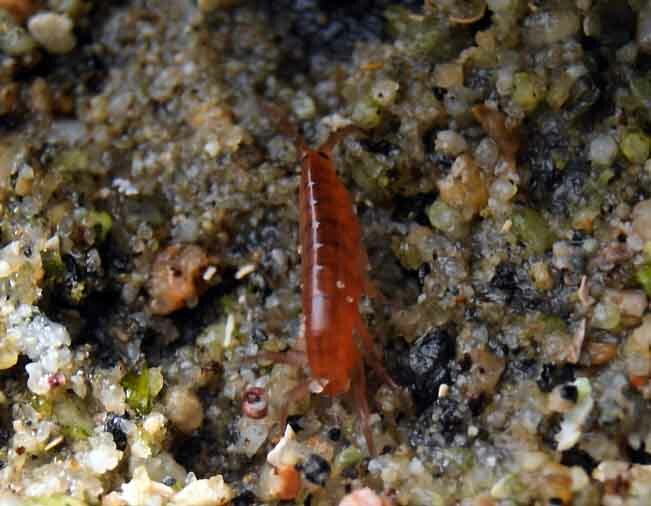 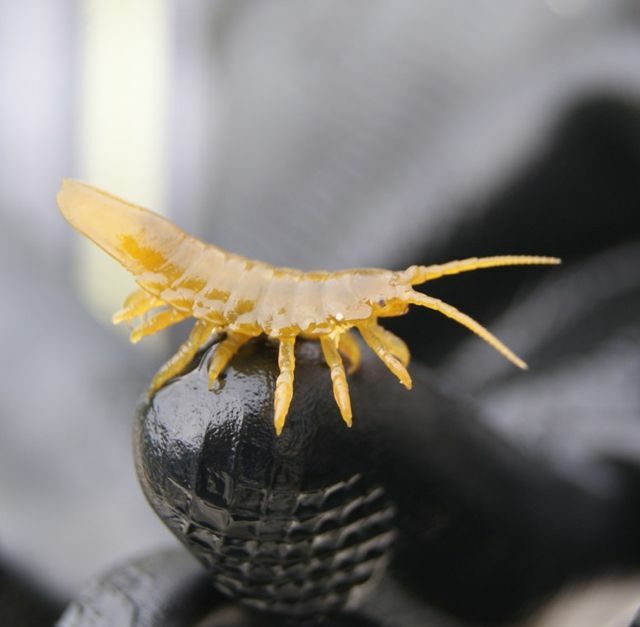 Amphipods on the other hand are laterally compressed, giving them a more shrimp-like form. 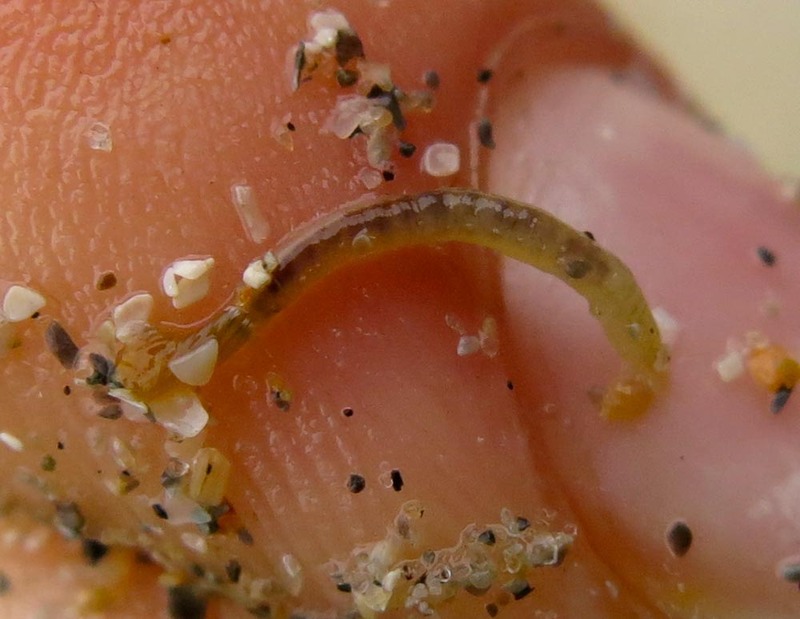 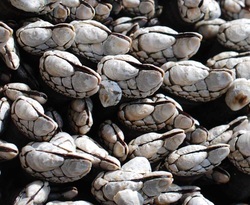 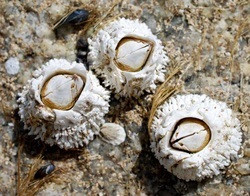 Beneath their hard outer shell casing, barnacles are vaguely shrimp-like with legs that are modified into feeding appendages (cirri); these are the appendages that can be seen emerging from the shell when the top movable shell plates open. 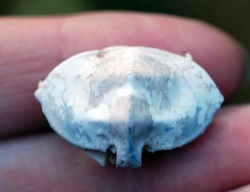 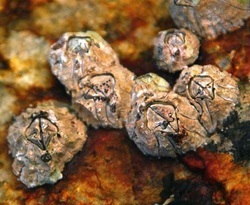 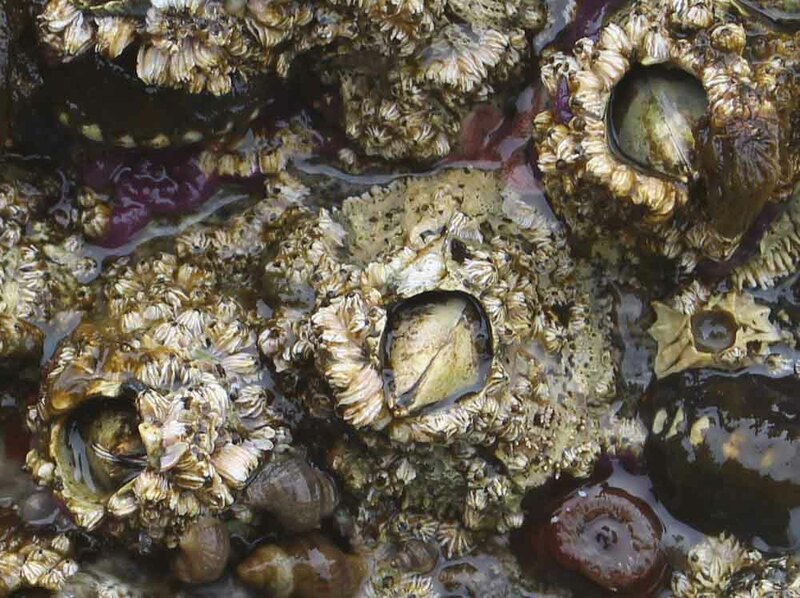 Barnacles casings are either directly attached to a substrate, or are attached via a stalk (peduncle).